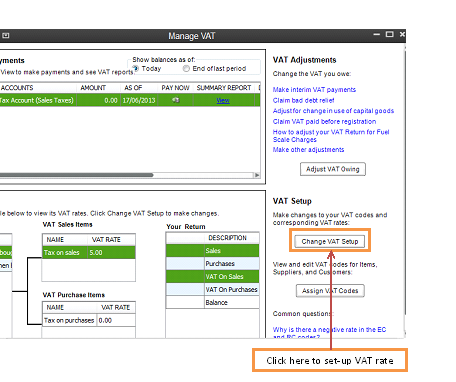 For businesses that remit VAT on sales to relevant Tax agencies, it is important for you to track the total amount payable to your local tax authorities for effective reporting. 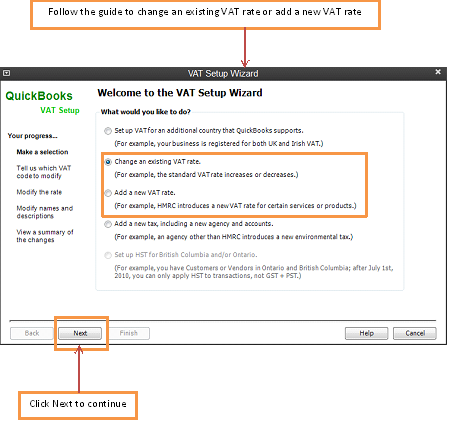 The QuickBooks Accounting software help you record all VAT payable from sales and create a report for real time updates. 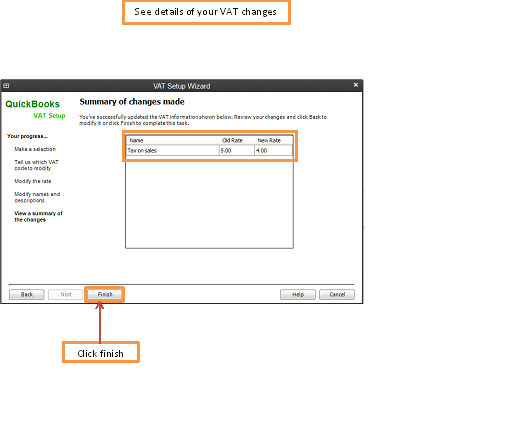 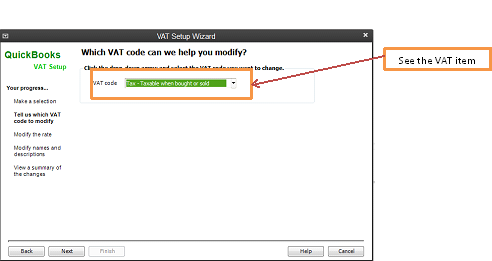 From the QuickBooks home page, click Manage VAT. 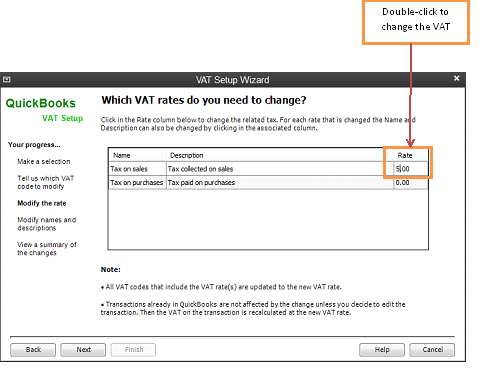 A Manage VAT window pops up which you will use to set-up your VAT percentage and report. 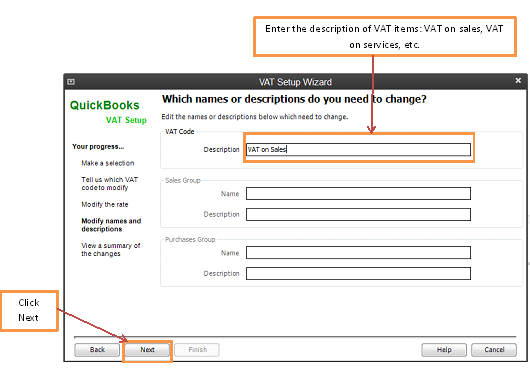 You will be required to enter VAT rate and QuickBooks will calculate the amount from every sales made.